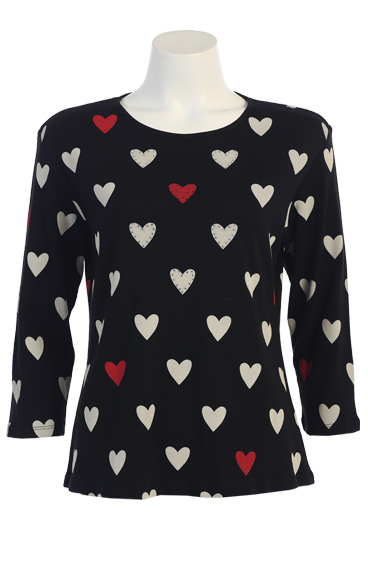 What a great top for any occasion. 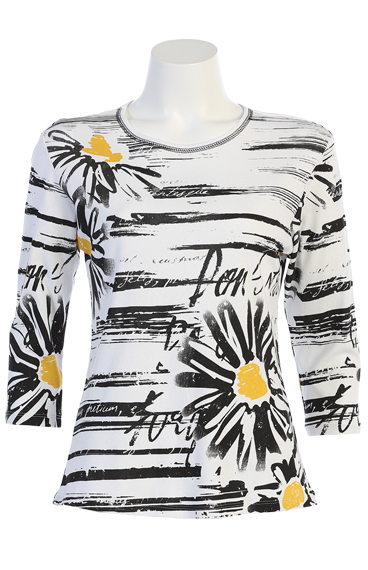 This top has great daisy's placed on the top with 3/4 sleeves that can also be pushed up if you would like to wear it above the elbow. Great length for dress pants, jeans, capris or shorts. AWESOME detail to this little top.